Sherry at Semicolon nicely hosts Saturday Review of Books and I'm here merely to highlight some of MY favorite reviews of the week. First, I'm plugging a book I read and reviewed over at 5 Minutes for Books, Broken into Beautiful by Gwen Smith. Every so often I run across a book that maybe I wouldn't have chosen for myself but I discover is full of worth and merit. This was one such book. I loved it because Smith is so honest and real. The publisher generously offered to give away a copy of this book so if you'd like to win, hop on over to my review and leave a comment! Jama Rattigan reviewed a variety of children's pictures books all on the subject of apples. I love it when people review a bunch of books on one particular subject matter. I find it extremely helpful and useful. 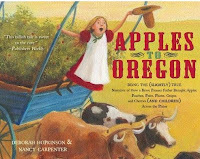 A few weeks back I had seen a copy of Apples to Oregon but I didn't get a chance to look through it. Now I would really like to grab hold of a copy as it looks cute. It would also be a nice edition to our family library considering the state in which we live! Thanks, JR, for mentioning all of these lovely books in your post! Here is a book that I cannot honestly say that I would seek out to read. In fact, I may never read it. However, I do find the premise intriguing. A Progressive on the Prairie reviewed this book and some of the points that were highlight I found interesting. 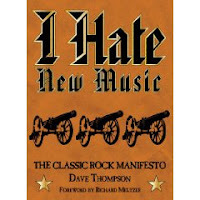 I Hate New Music: The Classic Rock Manifesto, by Dave Thompson sounds like a disgruntled sort of writing that points out the flaws of the modern in favor of the past. Since I find the past sometimes has much more to offer in terms of quality than the present does, I like the sound of the book. I'm not a big rock music fan though which is why I'm sure I wouldn't understand half of the book. I do like the Beatles. But that's really not my genre of choice. All the same, the book sounds interesting to me. 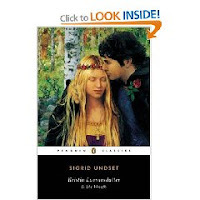 Speaking of quality from the past in terms of literature, my friend Calon Lan is reading through Kristin Lavransdatter. She is posting her review of the books into three parts for which I am thankful as it makes it easier to follow. I'm almost interested enough to following up my reading of The Faerie Queen with this book, however, I have vowed to take a break from heavy reading post Spenser. That being said, I'm really very curious about Kristin Lavransdatter, thanks to Calon Lan. Semicolon's Saturday Reviews so very fun! Every week is like a treasure hunt where you, the thinking reader, are given hundreds of opportunities to explore new and old titles. It's a little Saturday Gold Mine. Anyway, hope you all enjoy your weekend! I really, really enjoyed Kristin Lavransdatter. I didn't really find it heavy, either.